I started late this morning so I am a bit in a time shortage Must do a lot of things today so it will not be too much playing around on the computer and ceertainly not enough to do the program stuff, but that will be for later this week. Just have to pick a moment, I can do it easy pace, without having to think other things are waiting to be done also! LOL. Received again two awards from Nore from http://noresnice-ities.blogspot.com/. These two: but I will not pass it on this time, because I did that earlier already! But Nore, thanks for this appreciation! So on to the freebie already, no rambling around!! I have a kit for you that will, hopefully, bring a happy feeling to you by looking at it. It's named "Happy Season", to be the Spring, which ought to be a happy season with all the new life starting in nature and even some nice days, spoken of weather conditions! Enjoyed your weekend? I hope so. I enjoyed mine too, although yesterday was a tough day for me!! I had to try to install a program, but didn;t manage! I found a very kind soul, who helped me through it all the way, step by step, on the MSN. But it took some time!!! Poor soul, had to be patient with me, a bit dummy as I am in those things. Okay, a straight forward program is no problem, but this one has some weird and tricky things to it(to me that is) so needed help. We managed to get it on my computer, but we are not there yet!! Still have to do some before it can work! I HOPE IT DOES!!! So that took a big part of my Sunday, not really realxed then! And as we got an unexpected visitor on our door yesterday, which was a nice thing, we couldn;t finish it. I hope to to it this week. In between all that I still managed to do some things, made a kit, finished another one, but still no challenge. Hmmm, it;s time now to get an idea, cause I only have two days in March and that''s it. So here it is and I also have prepared the nominees!! There are no particular rules to it, Just regular ones and you ARE supposed to pass it on to some blogs. And on to the freebie then. I think it is a quit nice one, vintage look again, I started the kit by finding that sweet picture of the lady I put on one of the pages. From there on I worked further on. I named it "Dreams, Long Forgotten", because of the nostalgic feeling you get, looking at that picture. It put's you back in your own memories, LOL. Whoops, on to the Friday! It seems I am not the only one who seems to suddenly lost some hours or even a day! The days slip through your fingers and are over even before you notice it! Well, I will try to grab this day and hold on to it as long as possible, LOL. It's Friday again and almost time for my weekend break, which will be needed, because I will try to install a program(you think that's easy, but sometimes it;s playing tricks with you, believe me) and have to do one or two more challenges still for March and perhaps, perhaps already something for April, which is looking already around the corner, wriggling itself to take the place of March! Aweful, that time struggle! I did have my detective evening yesterday, yeah, and I could hold on till about 0.30 o'clock and then went off to bed and had an amazing good night of sleep, I slept all through till just after 08.00 this morning.! I must say that feels good!! Today I have a kind of "dangerous"kit for you, LOL!! Nothing much dangerous about it, only the colour scheme, perhaps and the title: : Dangerous Red and Black"!! What's that????? you might think. Well, you just have to scroll down a bit more and take a look and perhaps download it to take a better look, hahaha.! I certainly hope you all will have a marvellous weekend, in whatever way it may be, and that on Monday you can look back at it with a satisfied grin on your face. And I certainly hope I can do the same, at least I will try to have a very productive weekend, speaking of scrapping and may be even for some other trivial things. Tadaaaaa! Be as happy as you can be at the moment, it takes sometimes a little effort, but that will make it even better. Gosh, is it ME who said that? Happy scrapping days and till Monday! Evening I must be off the computer! I managed yesterday to finish one of the kits I was working on. Just have to finish the preview. And I did a bit of the housework. Today still remaning a bit. Yak, but okay, not too bad. Further on it was a quiet day, and as I type this, Jan just woke up and then he first puts on the tv for the news, but still rather sleepy and only half awake he right off starts giving his comments on it. I don;t mind so much, but it almost always happens, just when I start with the blogpost and most of the time he is a bit mumbling, LOL. Sometimes I even don;t know if he expects really an answer from me or not. But to be on the safe side(grin, grin), I humm hmmm, yes? or that sort of thing and sometimes look at his deriection, hoping that will be enough. Married life sometimes isn;t that easy!!! HAHAHAHAHA. 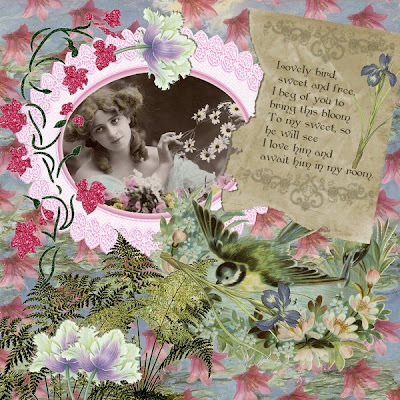 I haven't a whole kit for you today, I just made 2 quickpages from my Shabby Chic kit. I hope you don;t mind for once. Tomorrow I have another kit for you. I still have to try to make every now and then some quickpages, I feel I can do them still better, I suppose it is also the practice that will help. We'll see about that. I will grab now my second coffee of the day, do some posting on freebie forums and then first will finish the preview of the new kit. Don;t know for sure what will follow next as task. Anyhow, this evening I will not be too long at the computer(mostly I take still some time after dinner), but Jan told me, on the crime net we have, already at 20.00 o'clock it;s starting with a serie I love to see and its going on the whole evening with other ones too. So detective time this evening for me. I love it. One is a Canadian production, one a French and another German. Good to keep up with my languages(I still read the translations, but nevertheless you pick up a lot by hearing it spoken in the original language). So everyone have a nice day, hope you will not have to do all too much "housework", LOL. I have done my shopping yesterday, and I was lucky with the weather. Just could walk in between the small rainshowers, so that already makes a difference. Just before going out my msn was flickering and I had a nice chat with Snowy this time. We could have gone on for much longer, if I didn;t had to get ready for the shopping. Today is "staying"home day, LOL, I can do a washing, have to go through the house on a quick hoovering tour and hopefully can get something done on the computer too. With "done"I mean perhaps a waiting challenge and I am actually working on two kits at a time. Do you know how confusing that can be, hahahaha??? Oh, they brought me my medicine yesterday afternoon, and as I was out the chemist called, so Jan took the call and the guy didn;t know how to put it in words, but it was kind off: The doctor admitted she had made a little mistake!!! How about that! Glad that's solved. I am not making this post too long today, I just throw in the freebie for today. Soft in colour again although with a theme, still a lot can be used for other kind of layouts. Have fun with this on": "Here Comes the Bride", and I am trying to make progress first on the kits, then the housework, quicky, quicky(LOL) and some computer again(I hope). Don't talk to me about hospitals! Boy, oh boy, I was sooo unhappy yesterday afternoon with the visit to the hospital My yearly appointment, it should go smooth and quick, but not this time. First had to wait about 20 minutes before she called me in. Then it was about the usual talk, and suddenly she decided she wanted to check my blood. Well, not a too bad thing, to have it done once in a while, but still........... Okay, got the papers for it and she had to write my recipees. First she had the unholy idea of giving me just one with repeat for one time all together just for half a year! She said she could only give me one for that time. As I suggested that was okay, but coudn;t she write TWO prescribtions(as always was done) she saw the light and finally did so. Completely nuts that I as a patient have to tell her how to do it! As I was in hospital I decided to go straight away for the blood test, what is done is done! Waiting again! More than half an hour! Then the sweet lady, she was, had trouble finding my vain in my left arm, ouch, it hurt, so she had to try the other. Luckely it wnet better, so that was done. Then I went straight to the counter for medication, because I was already short of them. Looking at the recipe I noticed the doctor seemed to have given me the one for only 2x one tablet a day instead of 1 1/2 two times a day. NOOOOOOOOOOOO, that couldn;t be true! Talking to the lady at the counter I explained, then she said to me doctor had written the strenght of the tablet to 300 mg per tablet, and normally I had 200 mg, so in fact it didn;t matter, it was the same portion. She was however so nice to change it to the "Old"portions, so that I could take the medicine as I was used to. Pffffffffffffffffff, I was lucky. After all this I only got home at about 16.30 o'clock and I left home at 14.00 o'clock!! What a terrible afternoon. Putting my boxes with the medicine at its place I noticed a difference in the package, but, as they change it regularly, I didn;t think much of it. Just out of frustration I jumped behind the computer to relax a bit, and not 5 minutes later the pharmacy of the hospital called me. The guy had done a control(how good of him!) and had noticed I was prescribed slightly different medicine as usual. To make it as short as I can, he would contact the doctor today to check and probably had to change the medicine but they are so nice to bring that to me and take the other one back. What kind of doctor do I have???? In the time I already have these check-ups, doctors have changed, but not for the better! She is ever so fuzzy, it seems, and this medication she gave me, is probably a bit different, so you could never tell how I would react on it. Can you imagine I am a bit p.............d off now???? So yesterday was not a all together happy day! Well, I hope today or tomorrow it all will be solved and hopefully they don;t find anything strange in my blood, so I can go on for another year. Golly Gosh, I am finished with it! As you can tell, I didn;t got much other things done yesterday, just played around a bit on the computer, not all to much. But I have a kit for you! It is an all different one from yesterday, this one has a bit magic in it! Yes, my ladies, just read the name (written as it is in the Wiccan way, ho ho!!) and you will now. I even have a quickpage in it for you. How about that? Here it is, the "MAGICKAL LAND"kit. I hope you really enjoy this one. It's with a lot of fairies and even some gnomes in it! Have a fine day, mine certainly will be better than yesterday's!! I hope you all had a good weekend to look back at. Mine was a fine one, I must say. I did a lot of challenges and even almost finished a new kit and I already finished the daily download contribution for Magickal Scraps for JUNE!! Yeah are we quick there or not? I am not going to show you yet, but that is going to be a marvellous kit again. Soon the DD for April will be there, if all goes as usual, I will have then the slide show on my blog, and believe me, it;s all the more reason to join the forum, http://www.magickalscraps.com/, cause also the May DD is fantastic.And it's a fantastic forum, you can learn a lot by just visiting and reading all the tips there are given. I can show you two of the challenges I did, one is the template challenge, so you had to work with the provided template and the other is the inspiration challenge, where there is provided a picture, of which you can get your inspiration for colour or subject. So I was quit busy, this weekend and it was also rather nice weather, at least on Saturday, and I took a bit profit of it. Today I have to go to the yearly appointment in the hospital for my epilepsie, which I am not suffering much from, just now and then, and I just have to go to get new recipe descriptions for my medicin. The control is nothing, she just asks how you are doing, I answer, well, not bad at all, as usual, sometimes I have a bit trouble, but not too severe. Then she ask how often, I answer Oh not too much as usual and that's it. But such a visit breaks the whole day n two parts, I hate that. Okay, I have to go this afternoon, but not cause I like it.Hmmm. Better get on to the freebie for today, oh, it's a nice one! Rather big too, wel, in my opinion, almost 40MB, which is "heavy"for my doing. LOL. It's again a bit vintage looking, bit old- fashioned but very versatile in using. I was quit happy with this one. I named it "Shabby Chic", couldn;t come up with another name for it.Do you know how hard it sometimes is to pick a good name for a kit? Okay, that's it as far as I am concerned for today. It could be the freebielist will be on a bit later, due to my hospital visit. Have a splendid day and such! Again Friday, week flew by! My God, the week flew really by, you start Mondays, thinking of having a WHOLE week to do things and before you even know, Friday peeps around the corner already! I had to do some "blog home work"yesterday, because I received another award. They keep coming and I still LOVE it. It's an all new one, so that makes it a bit extra. I received it from Wanda at http://cheekysscraps-wanda.blogspot.com/ . Thanks again Wanda! 1. Must pass it on to up to 10 other bloggers. 3. Link to the bloggers you gave it to and leave them a message. 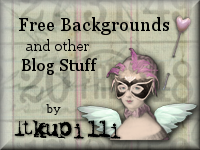 I think they all differ but in their own way they have great blogs, of course the freebies, but some also interesting or just fun to read from time to time. So pay them a little visit, it is worthwile! I jump right on to your freebie which is in one colourscheme only, in different shades of course. I even don;t know anymore, why I ended up with this colourscheme, but I think I like the resu;t off it. It's named "Purple Love". Ladies, have fun with it, make some nice layouts with it. And I don;t mind receiving a great layout from you, using one of my kits(is that a little hint?). Don't send me piles of layouts, I cannot put them all on, but a few would be nice, I will look to all of them and I will place them from time to time on my blog. It might be an inspiration for others too! And as you know by now, I will go on my weekend break again(but today in the afternoon there will be still the freebielist, of course), and I will try to refresh my brains, so new inspiration can fly in as free as a bird. LOL! Have a great time, all of you, this weekend and see you again on Monday! How much a person can sleep?? First some news about Jan. He had the the test done by his own doctor, how nice! So he had a lighter anaestetic and that was a good thing. After it was done his doctor told him, he was very"busy"still when she was putting the camera into his throat and further. At first sight she didn;t see anything disturbing, so that's good news already. Now she has to examine the pictures more closely, of course, and she will phone when she has the results. After awaking Jan tried to go for a little walk, but soon he took the tram home and was here at about 14.00 o'clock. He had a sandwich and something to drink and almost fell over from sleep, so stretched out on the couch. Slept again till about 17.30. We had dinner and he stretched out again! Woke up at about 22.00 o'clock, and fell asleep again after half an hour! I watched still some tv till midnight and went to bed. Somewhere at night Jan woke up again just for about 2 hours and fell back to sleep again and woke up this morning at about 09.00 !!! So the whole thing had more impact on him than he probably thought, but I somehow knew this could be so. Of course you are nervous for such a thing and then the anaestetic on top of it, that works!! For the moment he seems to be good awake, but who knows, may this afternoon there is still following a little nap. Boy, how much a person can sleep in about 24 hours????? In time he was at the hospital, I could manage some things, all in my own time hahaha. And also did a bit of constructive work on the computer, meaning I made a whole new kit. Even made progress in another one. Whoopsy, good day! Now this weekend I must try to make 3 or 4 challenges, still waiting to be done! March is already running a bit to its end, so not too much time for them anymore! Hmmm, tricky! Have fun with it and have a fun day! Well, it's now about 08.20 in the morning, but I was up at 07.00 already! Yeah, had to be sure Jan woke up, cause he has his hospital appointment today at 09.00. Poor fellow, it isn;t a very pleasant test to undergo. But.. one good thing comes of it. I am ALL ALONE for a few hours! What a peace and quiet, LOL. Not that I have much news t tell. I had to shop yesterday, and the weather was sooooo nice, unbelievable. Just a couple of days with sunshine, and not even temperature too high, about 10-11 degrees C in daytime, but suddenly nature awakes! Now I have a lot of daffodils in the garden, standing in full bloom. Temperature will certainly hopp around in coming time, I won;t be surprised if suddenly beginning of April starts with some bad weather, like frost and mist etc.! It happened here before. I must make the most of the "free"time as possible, so I will post quickly now the freebie for today and then try to getsome things done. It still is far away but I already made a little kit for Mothers day. But it's not the only occasion you can use this kit for. I think it still is rather versatile. I named it "For Mama" and hope you will like it. Off I go now, must gather some inspiration and material for a next kit and for some more challenges. Have a great day and we'll meet again tomorrow. It was a long day at the computer for me yesterday. Not that I minded it very much! But in general, I go back to it after dinner and then shut it off at about 20.00 or 20.30 o'clock. Time then mostly to watch some tv, and I don;t want Jan to feel too lonely(although we are in the same room) LOL. But yesterday I was sooo busy with some challenges, I wanted to finish them, but didn;t succeed to make all the ones I wanted. I even didn;t get on with the new kit I was working on, except for a few papers. !! All by all I shut down at about 21.30 o'clock! I was happy about one challenge I did finish, the Life journaling challenge. This time we had to make a layout with more text, about a trip or walk we had, with at least two different fonts and not too many pictures, or not at all and we couldn;t use a tag or journal to put the text on. Pffff. But I made this out of it. I give you the link to the big picture too so you can read the text better. I received another award again from Dee from http://dees-deelights.blogspot.com/. I was happy with it, I am happy with every award I receive, cause it feels you are appreciated, isn't it? 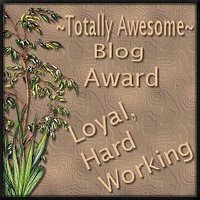 I only don't nominate other blogs, cause I already gave this award to others, twice! I planned a bit busier day today, and not all computerwise! 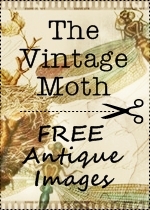 So I hop over to the freebie, which is a vintage looking one, again! Named it : "Old Romance". So today is the 16th of march! And what is so special about it?? Today it is exactly 17 years ago Jan and I met eachother and gor into our relation. YEAH!!!! Can you imagine the length of that time??? 17 YEARS we are together now. Aweful! LOL. I just cannot imagine it is already such a long time, if you say about 10 years, it could easily be so too! Oh, I congratulated Jan earlier this morning and he has the same feeling. You know what he said to me?? "At that time, 17 years ago we were still YOUNG"!! He is right, you know! Life really flies away. I had a great weekend, certainly yesterday we had a nice time, you know. Jan took a bunch of records(we have LOADS) and we listened to a lot of good oldies, from each record one or two songs we like best. Who passed along then, I even cannot remember all. But there were The Cats, Neil Diamond, Frida Boccara, Nana Mouskouri, The Hollies, The Platters, Mike Oldfield, and lots more. It was great fun. I was busy at the computer and Jan playing discjockey! Afterwards I cut Jan's hair too and then made dinner . Great day all together. Almost everything I used was from the package, only the frame not and the lilac/white flowers and the journal. The little "poem"I made myself. It was hard for me to do, because I cannot work with layers in my program. But I think it looks nice. Now here is the freebie for you. All happy and bright in a two colour scheme, named "Messengers of Spring". 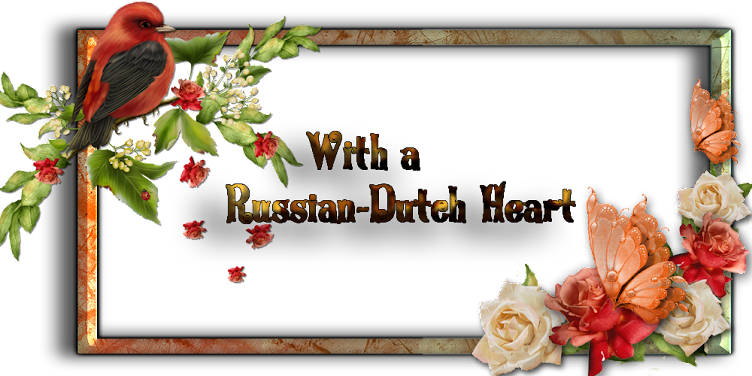 Hope you enjoy it and that you can make some nice layouts with it from your first Spring pictures! 1. Leave me a comment (at the bottom of this post) telling me why you want to win..2.Write one post on your blog about me.. If you are a follower of this blog, leave me a second comment so that you have two chances to win.. This giveaway ends on Tuesday, March 17, 2009.. Then I will use that Random number gadget to pick the Winner.. Good Luck, Everybody!! So, if you have a blog and you want a make over for free, why not go to her blog and just leave a comment!! I think it is a very nice idea! Yesterday I must say I had an "off" day. Wasn't feeling right, all day some headache, not good in my skin, all together. Why? Don;t know, but don;t worry, it's much better todaY! And I have to. Because tonight we have the monthly chat at magickal Scraps and it will be tricky for me. Because there are 2 things at the same time happening, that I like a lot. Well, the chat, and world championship speed skating per distance(500mtr, 1000 mtr, 1500 mtr., 3000 mtr and 5000 mtr) and just around 23.00 hours there is the 5 km. with a very good Dutch candidate! So I'll probably, will be jumping on and off my chair at the computer, running to the tv and back, to keep track of both things. The skaing is that late on tv because it is live from Canada. I'll manage somehow! Are that not BEAUTIFUL kits?? And all FREEBIES! I think I did all the "homework"now LOL, and it is time to go to your freebie for today. This is really a kit, I am happy about, it came out not bad at all, hope you are of the same opinion. 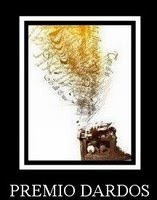 It's named "Black and Gold Symphony". Then I am off now, have to put messages on the nominees blogs and then I can think about a new kit and the last thing to do now is wishing you all a terrific weekend, because you know the drill now: I will be off for the next two days, hahaha. Enjoy yourself and have some good "scrappy time". I was a garden girl again! Yes, you read it well, I was in the garden again, yesterday afternoon. I cleaned up more, and finished with getting 3 plastic sacs(containersize!!!) of stuff out of the garden. All pruned branches, and weeds and moss that I scratched of the tiles etc. Whooppeeeee, I am a happy girl. Then I even did some ironing, had a little bite for lunch and prepared already all for dinner and then even had time to play on the computer. What a day! But it all seems going easier when a little sunshine is doing its best. Even sat down for a moment in the sun in the garden, okay, with a jacket, nice warm, but you could feel already the warmth of the sun. Jan received the appointment for the hospital for his endoscopie, not a nice thing to undergo, and he has to go to another hospital, all at the other end of town and that at 09.00 in the morning! We are lucky to have the tram in front of our house that actually is going all the way there. So that's for the next week. I didn;t took time yet to search for the blogs topass the award on, it will have to wait yet a little bit. It will be done, but it takes time and I want to do it properly. The kit for today isa vintage like one, all soft and a bit dreamy even. I named it "Once upon a time". Have fun with it. I was lucky yesterday to be able to do the shopping when it was dry! So much more pleasant. When I came home I stuffed it all away and did a bit on the computer and suddenly had the urge to have a little nap. The night before I didn;t had so much sleep, you know, on and off, and that did the trick. I bumped on the couch at about 16.15 and Jan woke me up at 18.15!!!! If he hadn't I think I would have slept till perhaps 20.00 o'clock!! Boy, I think I needed that. So quickly I made us something to eat and watched a soccer game and then a french detective. At least I could follow it the whole time, LOL, although when I went to bed after the detective I fell asleep very soon again and slept trhough the whole night! You should say I must be all fit again today! Opening my email I had a message that an award was waiting for me, again!! I had this one already, but I am not less proud of it! I will do my best to pass it on this time again to some blogs . I'll give you the picture of the award already and the link to the blog I received it from. Then I will try to pass it on to some other blogs, but maybe that will happen tomorrow. I received it form Kathy from http://cofessionsofamodernjune.blogspot.com/. As I look at the window, weather looks not so bad for the moment. The sun is shining a bit. May be I will catch some courage and take my camera and make some picture with the zoom in the garden. I need to do it for a challenge. There's another one to do, where we have to tell about a walk or trip we did, and I almost got the text ready about one with Jan. Then as I told him about it he reminded me of another walk we had some years ago and suddenly I saw all the picture in front of me again. And it was a funny walk, so now I am caught between the two of them. Cannot decide which one to do!!! Well, I hope to do some of the challenges on Magickal Scraps this week and this Friday, the 13th again!!!! we have our next chat. Hope we will be with a number of nuts together again, like last time. It was great fun! Okay, enough rambling done, I propose to you the new freebie. It;s a birdie one again, but I just had to make this one, it's about hummingbirds, and I find these little creatures amazing. The kit is named "Lovely Small Birds". You have all a great day and be happy! Do you have girl scouts around? So the first day of Jan's diet past and we had a good dinner, with no "red " meat. I made a filled chicken breast, with mozaella and tiny cut and fried red paparika . Just cooed potatoes and burssels sprouts. And a little desert, chocolate mousse(out of a plastic pot, ready made, hey!). To have something all different today I am thinking of making an omelet, filled with mushrooms, and perhaps backed potatoes. Should make a whole meal too. "Girl Scout Day recognizes and celebrates the Girls Scouts of America. This date celebrates the creation of the first Girl Scout group on March 12, 1912. Lady Olave Baden-Powell, founded Girl Guides. The wife of Lord Baden-Powell (who created the Boy Scouts), she was born on February 22 (1889). On March 12, 1912 Juliette Gordon Low started the first Girl Scout group in Savannah Georgia with 18 girls. The Girls Scouts became a national organization, and was was chartered by the U.S. Congress on March 16, 1950. Today, there are millions of girls involved with Girl Scouts. " And you can imagine what kit I made you for today. Yes, it's named very simple "Girl Scouts" And now I must hurry a bit, because soon I'll have to go out, for the bloody shopping! And till now it still is raining, yak! And if time remains, perhaps I will cut Jan's hair today. Hmmm. Yesterday Jan got "the spirit"again and replanted a few plants we have in the house and found some old stuff in a plastic bag, which was his. He sorted that out, and when he does something like this, he always looks to me so irritating smugging, the way of: Look, how good I am, I sometimes take time to sort things out, reaarage it, do you??? He almost never SAYS it, but do you know the feeling??????? I try just to swallow the words and try not to react, best thing to do. He's at the same time soooo sweet when he does things like that. Ohhhh, married life, it does those kind of things with you, LOL. Now have all a very fine day and I'll be back with your freebielist. I had a fabulous weekend, although not much happenend. How is that possible, you think? Well, because not much happened, it was quiet and okay. I had done all the shopping already on Friday, so Saturday I could linger on at home. I promised myself to do NOTHING except for playing on the computer and I held it through. How wonderful that sometimes is. We indulged ourselves so to say with all kind of food, Jan isn;t supposed to eat this week, hahahaha, like it was about the last meals we would have!!! And gues what I did Sunday, except for the computer playing? I worked a bit in the garden! Yeah, suddenly the sun came through a bit, and there seemed not the be a lot of wind, so I took courage ad put on my garden boots and an old jacket and went there. It was time I pruned a lot of stuff, so that it will bloom again well, hopefully! I planted some bulbs for the summer, gladioli, in an almost green/yellow colour, if you have to believe the picture. I a curious to see if they will come up. When I look into the garden now, it looks a lot more neat and ordered, not yet all done, but I am on the way! I was in it for about an hour and it was nice. Now today we will start with the diet (sort of) for Jan which shouldn;t be all to difficult. There are still lots of things he can eat, and I have some things in mind already. I really hope he doesn;t have a "fall-back"on the helath issue, it was going so well. We'll just cross fingers again and hope for the best. You may wonder that you didn;t hear lots of Heidi lately. Well, easy to explain. We haven't had much contact the last weeks(that happens to us more times, nothing to worry about normally) but I think I will call her soon again to just know if it's really fine there. That family sometimes is sooooo busy, that I can understand, time lacks a bit, to come over or to call, it even happens to me and for the moment we haven't a "busy"life. So no hard feelings to eachother, but it is time now to hear something. I must say, these little breaks do me real good, so may be not always so nice to my visitors, but it gives me a bit more of space and time to do also other things. Today I have a kind of special kit, may be, with a bit of glamour and culture both. Hahaha, what might that be? Well, it's a kit about a night out, at the theatre, which is exactly the name of the kit: "Night Out at the Theatre". I suppose some of you sometimes go to the theatre to see a musical, of play or ballet or even opera so it could be something of use. Have a great day, and see you around for the freebielist this afternoon! "March roars like a lion so fierce, the wind so cold, it seems to pierce", author unknown. Now about next week: poor Jan, he will have a bit of a hard time. Because of his anaemia he has to follow a special diet for a week, and of the three last days he has to give some samples of his motion, cause the doctor is wondering where this anaemia is coming from. Blood pressure is allright, so it has to have another reason. Because of that he cannot eat anything of "red meat", not for dinner, not on his sandwich etc. There is still left a lot we can eat, it will have to be chicken or turkey meat, fish, eggs, milk products allright also so he still can have deserts. But I will have to be very inventive next week, to still have a bit of change in menue and also something that is tasteful. Not a too big problem, but again something we didn't count on. And yesterday his doctor phoned and told him she wants him to undergo another "test checking his gurge, stomach and intestins etc. He hates that test, he had it already two times and it isn;t very amusing, the thing going in your gurge and so. So he will undergo it under a lite anaestetic again, poor thing! On the other hand I am glad the doctor takes it serious and wants to know what is the cause of it. And we were so happy with the whole thing lately, cause it went better with him. Let's hope the outcome of the test will not be a very serious thing, again we will have to cross fingers a bit. That's the news we had yesterday. The rest of the day was quiet enough, and I was able to do womething on the computer. Today a bit less time, have to do a bit shopping and other bits and pieces but no big problem. What about a freebie now? I think that's a good idea. We will end the week with a happy looking kit, an Easter kit, simply named"Happy Easter Greetings". It's still about a month away, this holiday, but slowly you will have to think about it, if you celebrate it in any way, to get some things ready, perhaps make some of your own decorations etc. Dear ladies, as for the last twoo weeks I will be taking the break in the weekend again and hope to see you all back on Monday again! Make the best of your weekend, try to enjoy it as much as possible, do some nice things and I mean not only scrapping! LOL. I'm on the right track! Yes, I can say for the moment I am on the right track. As it was a rather dark and unpleasant day yesterday, talking about the weather, I spent lots of time at the computer and even managed to get some things done! First challenges. It's a start but till now only did two of them, but on the other hand, March has just started! I'll show you what I;ve cooked up. And I even managed to finish up a kit I was working on for you. Not showing it yet, it will be there one of these days! So all by all I was rather pleased with myself, hahaha. Hopefully today will go at the same style, than I will be really happy. But of course there are some household tasks to be done also, well, you can't have them all, they say. LOL. 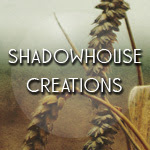 I better post now the freebie and do a quick visit at the Magickal Scraps forum to post my contributions and read all the new entries, if there are, but most of the time there are quit some and then brainstorm for a new kit and some of the other challenges. Pffff, busy day today. The kit for today is a bit about the Middle Ages, with nice papers, in that style, sp rich papers, some ribbons and even borders and elements of that period. It's named "Mylady's Court." Hope you will like it. Have a great day and do some scrapping! I can stay home today! I had an aweful good nights sleep, woke up rather early but refreshed! Hey, that's a newsitem too! So yesterday I was out there again with the shoppingcar, did what I had to do and wasn't all to creative. I started a new kit, but then Suddenly Windows decided I had to take a bit of a rest so all was stuck. Okay, no problem I shut down the computer "the hard way". You think!! It did but then the message appeard: don;t shut down the computer, updates are being installed. Okay, fine, thank you Microsoft. But it took more than an hour to install them. Ever experienced that?? Wanting to start the computer again because you were in the middle of a creative mood and then having to wait for the update installments??????? How irritating is that??? VERY. In that time I then prepared dinner, so later on I just had to put it in the oven Waited again a bit and whoopee, I could go on. But if it's all as I think, today I can stay in and hopefully can do some more. Just the right day, because the weather doesn;t look all to inspiring, bit of rain, grey, windy, well, not giving you exactly the feeling that spring is waiting for you around the corner, LOL. Today I have a kit for you that should be nice for some older pictures, or even recent one of the elder in the family, specially Granns. And that's the name of the kit "Memories of Granny". I think soon I shall post an Easter kit too(I have it ready, yeah!!!) because that is the next "big"holiday coming up. Hmmm, a challenge with that subject is also waiting for me at Magickal Scraps, I'll have to look for one or two pictures. I know I have something that will suit it well, but I'll have to find them first!! Still in the heap of "old-fashioned" pictures in the closet! May be I'll get to that today too. For now, that's it, folks, so I hope you will have a great day, I hope mine will be productive in several ways and talk to you again tomorrow. Let's have some fun with birds! We are back to the normal rythm again. Posting in the morning I mean! It was such a disordered day yesterday, that I was already glad to have posted the freebie and even made the freebielist with a post in the afternoon. I even didn;t get much more done yesterday at the designing point I mean. As for today, it will not be very much more either I think. First I have to post here, then post the freebie on different forums and then it will be almost time to do the shopping again. Returning from that probably some hush hush cleaning in the house and may be I'll get something done after that and a bit after dinner time. I also have to take some time this week for that tax thing I wrote about, yak! Today I have a very happy looking kit for you and really hope you can scrap some nice pictures with it! It's a kit based on parrots and parakeets, named it : "Jolly Birds". And what do you think from the new blog layout for March? I think the background is such that you can read easily the text and the header is containing a little picture of my two other cats, the BROTHERS, left Brodski and on the right Dikkie Dik, royally installed on the couch, on the spot where usually I sit. Well, have a nice day, I'll make the best of it, hahaha. Back from hospital, where almost all was good news, now only Jan seems to have a bit of anaemia again. 'He had to deliver some blood again for tests and in about 4 weeks the doctor will call to give the results. In the mean time he can quit the medicine to help get away too much fluid, we'll try that out for the next weeks. Hope we can keep it in control, well, we still have to be careful with the salt for certain. He also gained some weight, so in all we can say it was a pleasant visit at the hospital. Opening the blog I read I have received another award. This time it is from Lori Ruth from http://bateau-maisoncreation.blogspot.com/. This is it and I think it is a very honouring one! Rules are simple. Mention the blog you received it from. Nominate a few other ones and notifie them about it. Did you see the new slideshow on top of the blog? it;s from the new daily download on the Magickal Scraps forum. Aren't that awefully good contributions? And I am going to have a busy month again, lots of challenges to do on the forum and also the monthly colour challenge. Whoopeee, I like that to do. And in between I am also busy for my turn on the daily downlod themes, I have the month May. So no time to waste, and I am certainly not getting board!!!! Okay, I will leave you now to the freebielist, which is a not too short one. Enjoy yourselves with it! As promised, I am back, but for now only for a very short post. I don;t have time this morning, we have to get ready for the hospital. So I I find time, I will write a bit more the afternoon. Here is only your freebie for today.